Perhaps Zhi Lam Drä Bu is a bad German attempt at saying teaching on the Ground, Path, and Fruit according to Dzogchen View? Zhi, base. Lam, path. Drä maybe like "Lam 'bras" path and fruit. To bad no Nyingthik Yabshi! Anybody have 2cents to say about Yumkha Dechen Gyalmo Wang? Any unique features etc? The Yumka empowerment is a very important part of the transmission of the Longchen Nyingthig. It has a lot of significant features and is quite unique. Details of that are probably not appropriate to share here. Strictly speaking, it's not a 'Wang', but it should be given only to people who have received Wang. Similar to the case of Vajrayogini in Sakya and Gelug. Actually, it was stated in the commentary that it should be given to people who have received Nyingthig Palchen Dupa or Zhitro Wangchen. But nowadays quite often this rule is not followed. Still, most of lama would schedule it after a proper Wang, in this case I assume, would be Yamantaka. If you want to follow the traditional rule properly but you haven't received 2 days empowerment in LN cycle, as you might see in another thread, Khenchen Padma Sherab will give Palchen Dupa Wangchen in London in May. This is called a Jinlab (byin rlabs). When someone asked Tulku Pema Wangyal about the benefits of this transmission... he said... the benefits will appear during one's journey in the bardo. I don't mean to sound dismissing, but when I hear someone tell me that the benefits of a given practice will be reaped during bardo - I am not interested at all. What help is this to me in this current form? Why should I care more about a bodyless form in the bardo realm who, according to Buddhist theory, is not even "me" anymore, but just some karmic imprints traveling through the bardo like a lonely asteroid is travelling through space and time? Why should I care more about that form during bardo than about the current form in this body? Our physical form is limiting to us in this life, yet it is also the key to our development. Body, speech, and mind are all related, and we are already wired one way now due to our physical form. So it looks like the organizers simply got it wrong and confused the Longchen Nyingthig with the Nyingthig Yabzhi. I just signed in and received a autamatized copy by e-mail. Does anyone know: is that already the confirmation or will that come separately? Ho! All the possible appearances and existences of samsara and nirvana have the same source, yet two paths and two results arise as the magical display of awareness and unawareness. With the Aspiration prayer too right? It's actually Jigme Lingpa's? 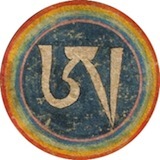 The error is consistent, so if the organizers were going for a theme (the Dzogchen teachings of Longchenpa), it makes a certain amount of sense that the prayer is wrongly attributed to Longchen Rabjampa and the empowerment erroneously ascribed to his Dzogchen cycle, the Nyingthik Yabzhi. 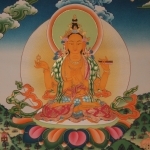 The prayer is Jigme Lingpa's, and the empowerment belongs to his cycle, the Longchen Nyingthik. Incidentally, has anyone alerted the organizers by emailing info@garchen.de ? Now I am confused. So, is this going to be the Longchen Nyingtik or the Nyingtik Yabzhi empowerment? Yumkha Dechen Gyalmo is from the Longchen Nyingtik, not the Nyingtik Yabshi. So obviously it will not be the Nyingtik Yabshi. The Longchen Nyingthik is a terma of Jigme Lingpa, revealed from visions of Longchenpa, and Yumkha Dechen Gyalmo is the Dakini Root practice. There are associated sadhanas and practices for this practice, and it's often done in a three year retreat after the Guru Practice, Rigdzin Dupa.